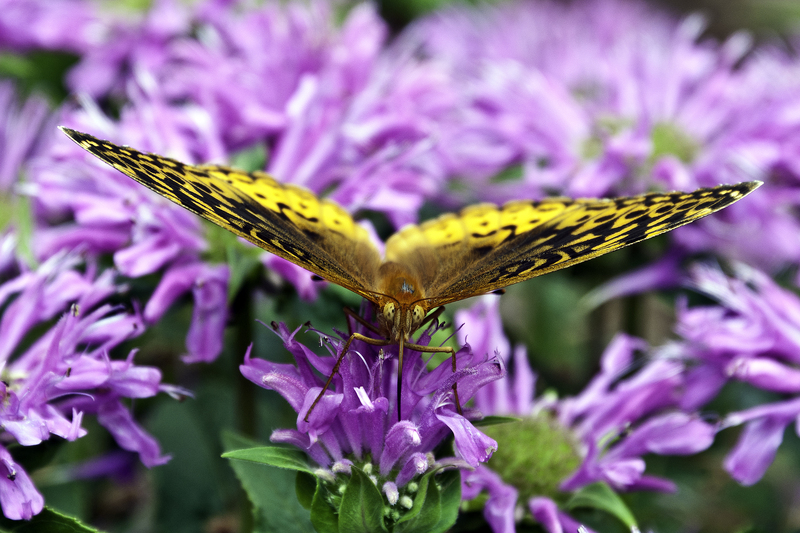 I am taking a break from processing images from Italy this evening and instead have focused my attention on images that I shot this Sunday of a Great Spangled Fritillary butterfly (Speryeria Cybele). 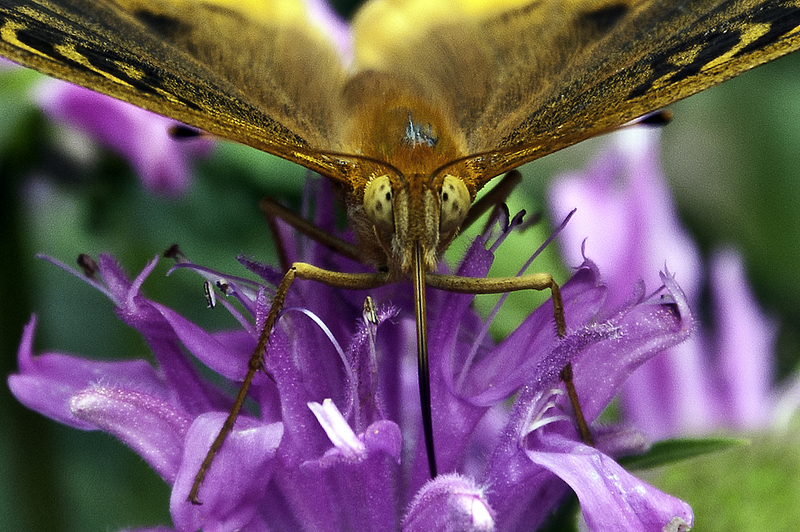 I have seen this type of butterfly many times, but they were either very skittish when approached or in poor condition. This one was perfect and seemed to enjoy posing for me. I was able to get fairly close, and even had time to switch from my Nikkor 28-300mm lens to my Nikkor 105mm macro lens. 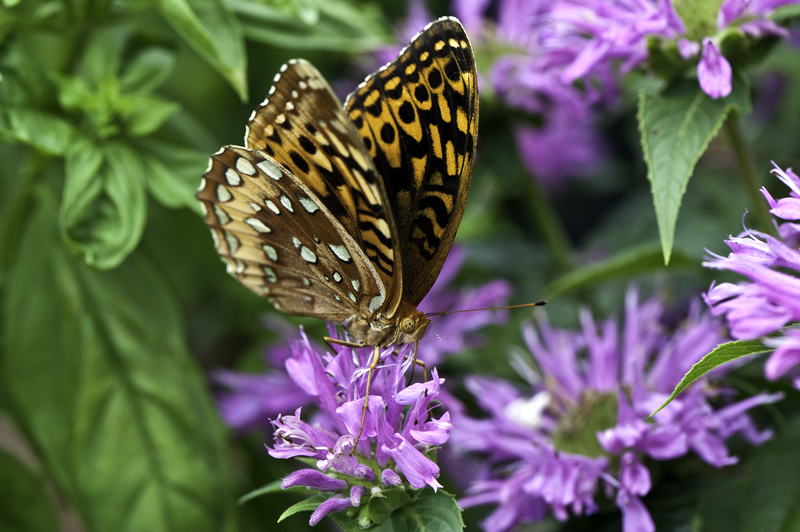 The Great Spangled Fritillary is a large (wingspan 2 1/2 to 4 inches), bright orange butterfly that has a pale band and large silver spots or “spangles” on the underside of its wings. 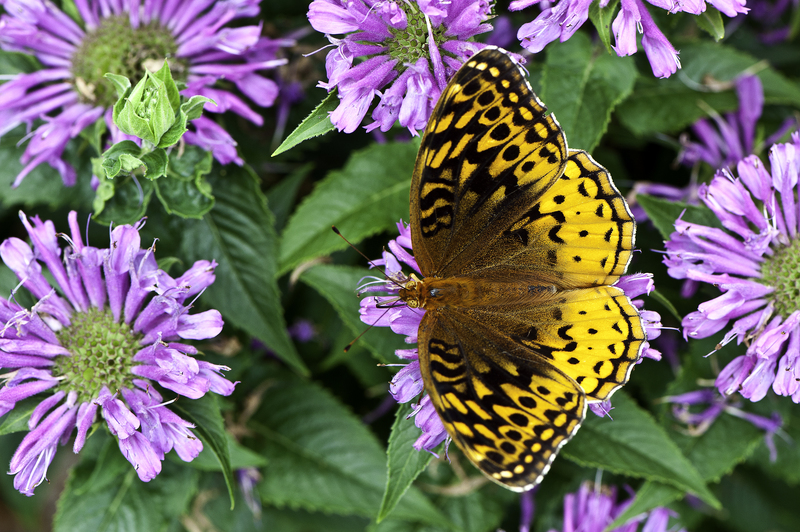 It is the most common fritillary in northern Virginia and is typically found is large open meadows. Tomorrow–back to the Italy images. 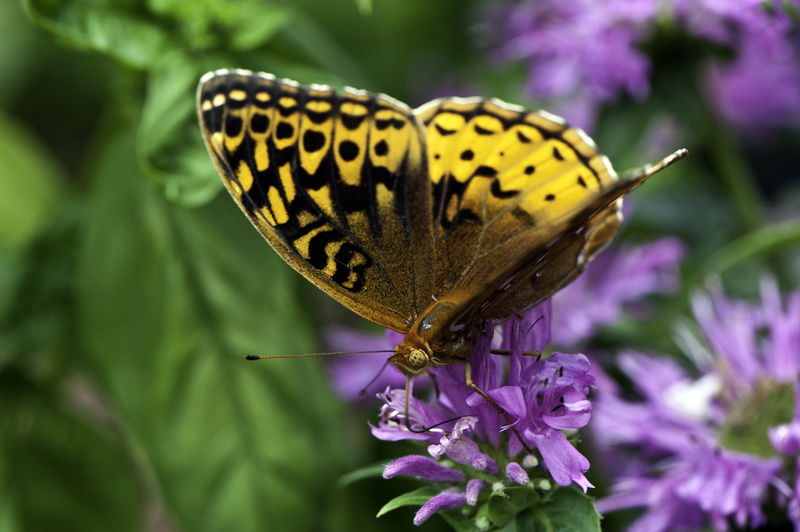 This entry was posted in Uncategorized and tagged butterfly, fritillary, Great Spangled Fritillary. Bookmark the permalink. That last shot is amazing! You can totally see his/her eyes!! The last shot of the butterfly is actually scary! Can’t wait to look at them on my mac later today. You are magic with those close ups! A little Chianti in that necter to get him to stay still?? Where was this taken, your house?